No time to cook? or craving for home made Indian food? 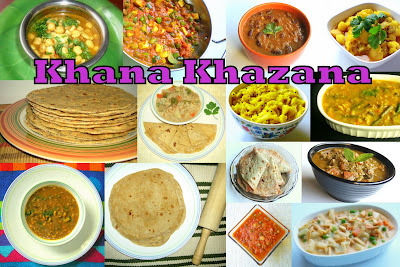 here's Khana khazana for you, where homemade fresh & tasty food is made to order. Who prepares food & what food is made to order? My dear friend has been doing catering service for quite some time. She makes almost all kinds of Punjabi & Gujrati food. Specialized in parathas, rotis, vegetable curries/gravies, vada pav, pav bhaji, samosas, kachoris, dabeli (Mumbai fast food) to name a few. Vegetarian only. The food is prepared using only high quality ingredients and prepared in a clean vegetarian kitchen. She accepts party orders too. For more information or to contact my friend, please send a mail to me at mythreyee[at]paajaka[dot]com and I shall reply with all details requested.